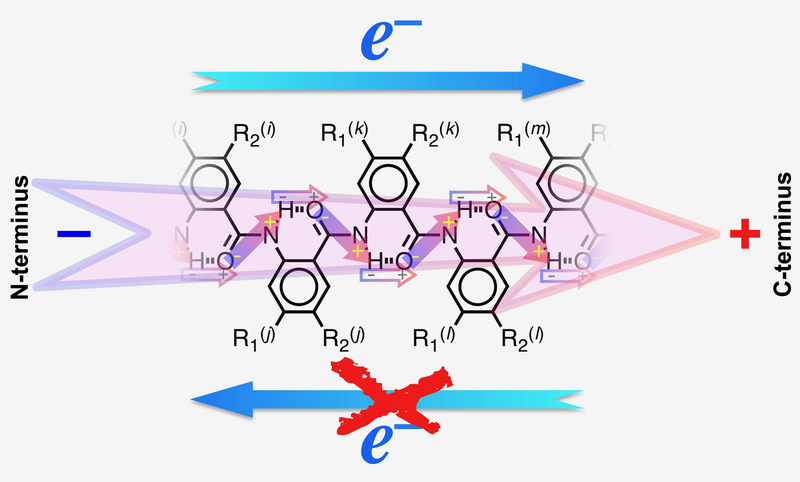 Researchers at the University of California, Riverside, have, for the first time, successfully used electric dipoles to completely suppress electron transfer in one direction while accelerating in the other. The discovery could aid development of improved solar cells and other energy-conversion devices and hasten the design of new and superb energy and electronic materials. A bioinspired molecular electret dipole. 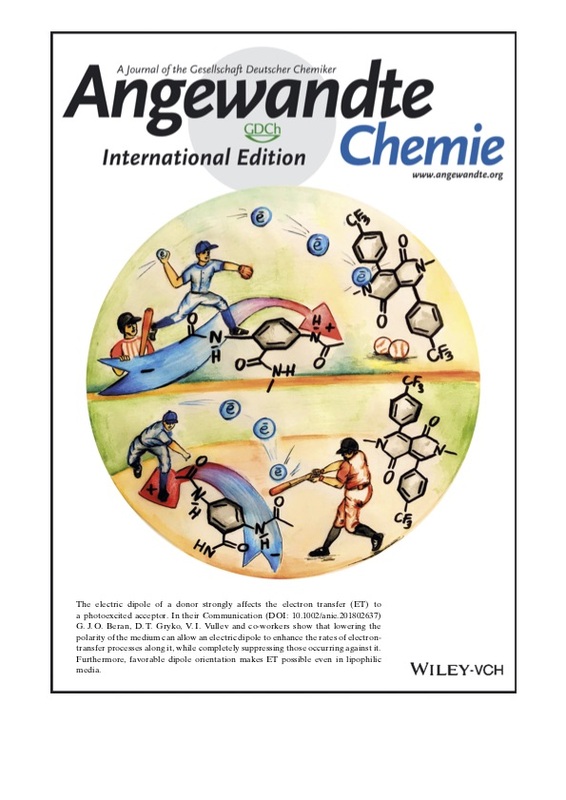 The Vullev Lab was selected to create cover artwork.